Welcome to furnplan. 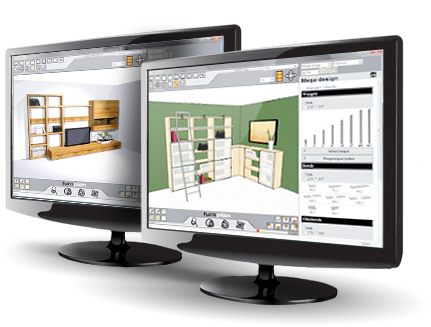 The software for professional 3D furniture design. With furnplan you build lightning-fast rooms and creative furniture combinations. Of course expects furnplan you in real time the correct price from. Order your furniture online error-free or use our ERP interfaces for your ERP system. 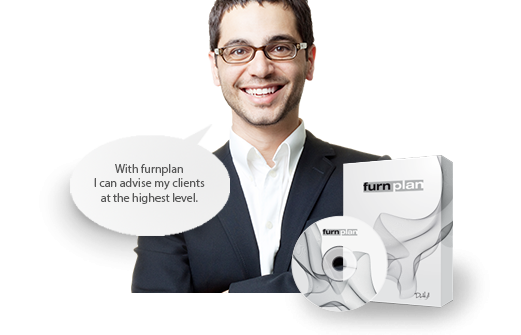 Due to the simple and intuitive operation of furnplan is planning a visual experience. Experience for yourself why already put more than 3.000 furniture dealers and more than 90 furniture manufacturers furnplan. Test furnplan without charge, without obligation and without small print for six whole months! Because of the complex planning programme, furn plan „thinks“ for you an takes over al lot of the planning steps, as well as calculation prices. We provide free support by phone, e-mail and remote support directly onto your screen.